On July 17, there was another “vote” in Venezuela. In sharp contrast to their reaction to the Constituent Assembly, imperialist governments and their capitalist media had nothing but praise for this illegal “plebiscite.” Basically, Venezuela’s right-wing opposition organized a non-binding referendum without the authority of either Venezuela’s National Electoral Council or the Constitution of Venezuela. The opposition claims that over 7 million people participated in this referendum, however, the results are not verifiable as the ballots were destroyed. It has been 19 years since election of Hugo Chavez in 1998 and the beginning of the Bolivarian Revolutionary process. Since then, poor, working and oppressed people in Venezuela have made tremendous gains in their standards of living; in healthcare, education, housing, access to food and clean water, among other basic indicators of quality of life. Today, Venezuela has a revolutionary government led by the democratically elected President, Nicolas Maduro, but the economy of Venezuela is still run by Venezuela’s rich class. This rich class is represented in government by the opposition coalition MUD (the Democratic Round Table). Over the past four months the people of Venezuela have been facing an increasingly violent campaign by Venezuela’s right-wing opposition and their violent mercenaries, whose ultimate goal is to overthrow the legitimate government of Nicolas Maduro and reverse the gains of the Bolivarian revolution. Over 100 people have been killed and over 1000 injured in the terrorist attacks that have included murders, assassinations, road barricades, fires and attacks on government buildings, among other crimes. The National Constituent Assembly is the revolutionary government of Venezuela’s response to this escalated violence. The right-wing so-called plebiscite was the opposition’s response to the ANC. Thus there is, with these two votes, a “Tale of Two Elections,” an important illustration of the revolution and counter-revolution in Venezuela. What is the National Constituent Assembly? As President Maduro explained, the ANC would be elected by the people of Venezuela through a popular, direct and secret vote. The ANC would then be charged with proposing changes to improve and broaden Venezuela’s Constitution in order to strengthen the Bolivarian revolutionary process and “make peace triumph over violence.” After the ANC had completed its work, any proposed changes to the Constitution of Venezuela would then be approved by the people of Venezuela in a referendum. In the three months following the May announcement, the United Socialist Party of Venezuela (PSUV), together with the various social institutions of the Bolivarian revolution, mobilized the mass majority of people in Venezuela towards the ANC election. By election day, July 30, there were 6,120 candidates running for the 545 seats in the Constituent Assembly. Not a single candidate in the election was from the right-wing opposition. This, however, was not because they were not allowed from running. The right-wing opposition parties decided to boycott the National Constituent Assembly. While at the same time, they increased their campaign of violence and fear meant to discourage the people of Venezuela from participating in the vote. It is also important to note that, as with previous elections, the Constituent Assembly elections were overseen by the National Election Council (CNE). The CNE is actually one of the five branches of government in Venezuela. The Constituent Assembly elections were a great success for the revolutionary government of Venezuela and the Bolivarian revolutionary process. According to the CNE, on Sunday, July 30, 8,089,320 Venezuelans went to the polls for the Constituent Assembly vote. This represents 41.5% of the registered voters in Venezuela (people living abroad were not able to vote). In comparison, in 2013 President Maduro won the election with 7,587,579 votes and Chavez won his 2012 re-election with 8,191,132 votes. 537 representatives, out of the 545 total members, were elected on that day. The majority of these seats were voted on using the method that most people in North America are familiar with, by region. Much like elections in the US or Canada, 364 representatives were chosen on the basis of where people lived, with one representative for every 83,000 people, and at least one representative for every municipality. A further 173 of the representatives were chosen based on sector. This means that they were nominated and voted upon by specific sectors of society such as workers, farmers, people with disabilities, students, pensioners, the business sector and communes and communal councils. This way, groups within Venezuelan society, with specific needs, could be sure to have their interests represented in the Constituent Assembly. The final eight representatives were chosen from within Venezuela’s Indigenous peoples on Tuesday August 1. In keeping with the Bolivarian Constitution of 1999, for Indigenous people the “their ancestral methods of choice and participation” were recognized as part of the election process. The ANC will be inaugurated on Friday, August 4. The great success of the Constituent Assembly elections came despite an intensified campaign by the violent right-wing opposition to sabotage the vote. In the months leading up to July 30, leading members of the opposition publically stated that they would not let the Constituent Assembly happen. Following their marching orders, violent mercenaries and counter-revolutionary thugs then got to work, bringing violence and terror to the streets of Venezuela. This included the assassination of a Constituent Assembly candidate, Felix Pineda Marcano, the night before the election. The violence in the streets of Venezuela continued on election day. The Minister of Defense, Vladimir Padrino Lopez, reported that 200 voting stations were surrounded by violent opposition members. Because of this, alternate voting stations had to be set-up. Attacks were also carried out against government security forces deployed to protect the voting stations; the Interior Ministry has reported that 21 state security personnel were wounded with gunshots, in addition to the murder of National Guard Second Sergeant Ronald Ramirez in Tachira State. At least nine other people were killed that day. There was also a bombing attack directed against a police motorcycle envoy. The bombs went off as the police drove through a pro-opposition neighborhood in Caracas, injuring eight officers. The right-wing campaign to stop the Constituent Assembly elections also extended beyond the borders of Venezuela. In the days leading up to the elections, both the government of the United States and the government of Canada demanded that Venezuela cancel the elections. The US even threatened to impose further sanctions, a direct violation of the people of Venezuela’s sovereignty and self-determination. Within the Organization of American States (OAS), United States government, Canada, Mexico and their allies attempted to get the regional body to issue a formal condemnation of the Constituent Assembly. However, their efforts failed, just like so many other attempts by the imperialists to use the OAS to promote intervention in the internal affairs of Venezuela. 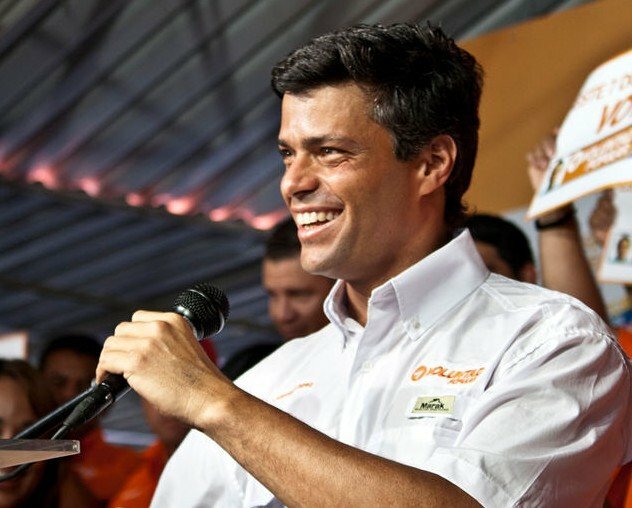 What About Allegations of Fraud by Venezuela’s Opposition and Their Foreign Allies? This was the 21st time that elections were held as part of the Bolivarian revolutionary process that began with the election of Hugo Chavez in 1998. Out of these 21 elections, two were considered a loss for the Bolivarian revolution, the most recent being the 2015 parliamentary elections in which Venezuela’s opposition won a majority of the seats. The two times that elections in Venezuela were in favour of the opposition, imperialist governments and their capitalist media machine were silent about the results. For the other 18 elections that brought about advancement in the Bolivarian revolutionary process, these same governments and the mainstream media were quick with their allegations of fraud, irregularities and rigging. This was no different for the Constituent Assembly elections on July 30. 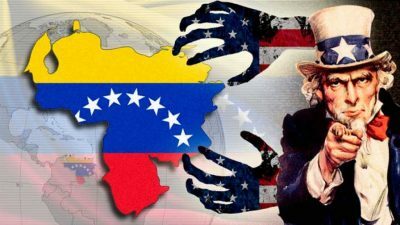 In fact, immediately following the elections, the US government took their threats one step further, and President Trump imposed sanctions directly on President Maduro. The imperialist and right-wing allegations against the July 30 elections are, however not based in fact. Instead of relying on data from the electronic voting machines used in the elections (which by the way use finger-prints to identify voters), mainstream media sources like the New York Times are instead quoting so-called “independent” election observers (like the investment bank Tornio Capital) and the observations of unnamed reporters in the country. On Sunday, July 17, Venezuela’s opposition organized another vote, what they referred to as a “plebiscite.” This “plebiscite” was essentially a non-binding referendum called by the right-wing opposition, with no recognition by Venezuela’s democratically elected government or the National Electoral Council, and no Constitutional recognition. Despite this, the opposition went ahead with the voting with the full support of the government of the United States and their allies, and received wide-spread recognition as the “voice of the people of Venezuela” in mainstream capitalist media. So, What Was This Opposition “Plebiscite” All about? Do you reject and ignore the realization of a Constituent Assembly proposed by Nicolas Maduro without the prior approval of the Venezuelan people? Do you demand that the National Armed Forces and all public officials obey and defend the Constitution of 1999 and support the decisions of the National Assembly? Do you approve the renewal of public powers in accordance with the provisions of the Constitution, and the holding of free and transparent elections, as well as the formation of a government of national unity to restore constitutional order? Instead of being organized by the government and Venezuela’s National Electoral Council (CNE), it was organized by a coalition of Venezuela’s right-wing opposition. In contrast to the Constituent Assembly vote which took three months to prepare, this vote was organized is just two weeks, after being announced on July 3. Anyone over the age of 18 could vote in the plebiscite, including people living outside of Venezuela. The opposition reported that 7 million people voted in the referendum. There are however, a number of significant irregularities that have been reported about this number. For example, the opposition has reported that 693,000 votes were cast abroad, while only about 101,000 voters live outside of Venezuela. There are also basic problems exposed by mathematical analysis that make 7 million votes impossible. Unlike the Constituent Assembly election, the opposition has also made an audit of the results impossible as the ballots have already been burned from some states. Some of the irregularities in the number of votes might be explained by repeat voting. A teleSUR investigative report conducted during the unconstitutional referendum revealed that one person was able to vote three times. On the eve of the Constituent Assembly election in Venezuela, US Vice-President Mike Pence made a phone call to Leopaldo Lopez, a leader in Venezuela’s violent, counter-revolutionary opposition. Mr. Lopez had recently been let out of prison, and was under house arrest, for his role in inciting street riots in 2013 that killed 43 people. In his phone call to this convicted criminal, Vice President Pence gave Leopaldo Lopez words of support and encouragement, reminding him that the US government had demanded that the government of Venezuela cancel the Constituent Assembly elections and hold a US-supported, opposition led version of “free and fair elections” in Venezuela. However, Mr. Pence, you forgot that those “free and fair” elections were just about to happen. Left with a choice between an election that was constitutionally recognized and verifiable, and a referendum that was neither of these things, the US government and their allies have chosen the latter. Once again, imperialist lies, manipulations and intervention in Venezuela are exposed. The US government and their allies do not care about “democracy” or “legitimate” elections in Venezuela, as much as they do not care about the hundreds of people that have been killed in Venezuela by the violent opposition that they support. Together with Venezuela’s violent right-wing opposition, their only interest is in overthrowing the government of Venezuela and reversing the gains of the Bolivarian revolutionary process. Increasing US and imperialist intervention and sanctions are preparation for further, and more aggressive attacks. As the people of Venezuela continue to build the Bolivarian revolutionary process, and defend their rights to sovereignty and self-determination, international solidarity is needed now more than ever before.